Timbers Fans Vow To, "Never Stop Fighting"
Portland, OR - After a successful web campaign by the Portland Timbers front office that featured the tagline, “Never Stop Fighting,” the associated fans of the Timbers announced a vow to never stop fighting as they relentlessly turned on each other at every possible moment. 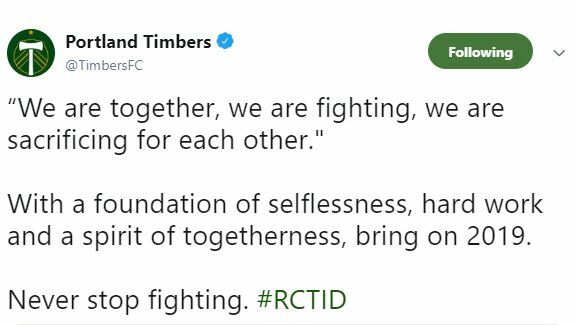 Other Timbers fans announced their intention to Never Stop Fighting as they continued to make scarves and patches against the Timbers front office and other fans who don’t like the scarves and patches they made in the first place. Our reporters spoke to Timbers Army members as well who brought up a number of recent fights among the collected fans of the team that outstrip the petty grudges that Timbers fans hold against rival fans. Conversely, we spoke to Mike Anderson in section 104 who detailed a list of grudges he had with certain individuals in section 106 as he announced that he would be writing a very in-depth hit piece on these individuals in the fanposts section of the Timbers SBNation blog Stumptown Footy. The Nutmeg News will have more on this as the Timbers Army fanbase turns on the Timbers Army Facebook account for posting unaffiliated fans talking about Never Stop Fighting.